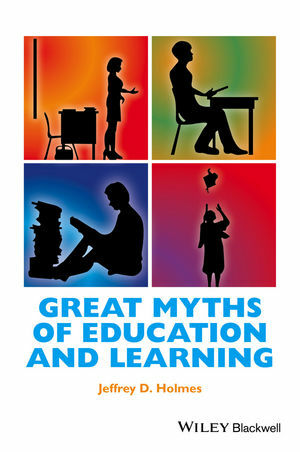 Great Myths of Education and Learning reviews the scientific research on a number of widely-held misconceptions pertaining to learning and education, including misconceptions regarding student characteristics, how students learn, and the validity of various methods of assessment. Jeffrey D. Holmes is an Associate Professor of Psychology at Ithaca College in Ithaca, New York. He teaches courses on general psychology, testing and assessment, research methods, and controversial psychological issues. Dr Holmes has published original research on racial attitudes as well as the teaching of psychology, and has published several book chapters on topics related to the importance of scientific thinking in understanding human behavior. He is the author of Social Psychology: Student Handbook to Psychology (2012).